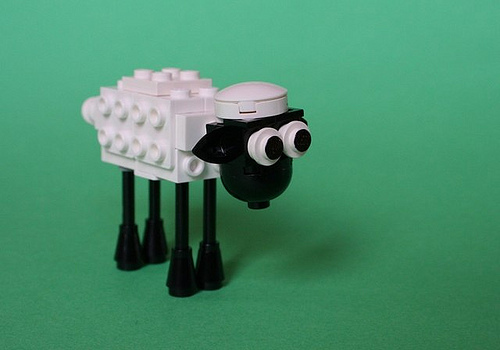 Nothing, it’s lovely, as is this Shaun the Sheep from “Wallace & Gromit” by Piotr (Pepik), via the Living Brick — welcome back, OJ. 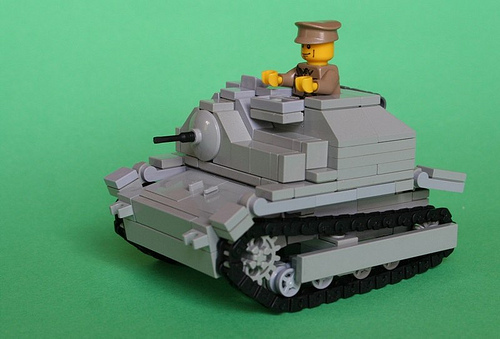 Nearly as cute is Pepik’s Polish “tankette”. Ooohhh if only the grays weren’t all mixed up in that tank..
Apart from the fact that the black part of Sean’s eyes are texta or something, I really like this MOC. eh, I wasn’t really acting the purist, I just think MOCs look messy when the grays are mixed unintentionally.